and the main logo of the Boy Scouts of America. Many scouts earn the Universal Religious Square Knot which they sew onto their shirt above the left pocket. The BSA does not have a merit badge on religious or spiritual knowledge. However, about 5% of Boy Scouts have completed a religious program within their own faith group and may be allowed to wear the corresponding religious emblem on their Scout uniform. This privilege is granted by the BSA to dozens of religions and denomination, if the course meets their standards. The emblems are supplied by the denomination, or by P.R.A.Y, an independent agency, 1 after the youth completes their faith group's course. For example, the Unitarian Universalist Association has a Love and Help course and emblem for Tiger Cubs and Cub Scouts. They have a Religion in Life course and emblem for Boy Scouts and Explorers. 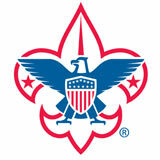 Permission to wear their emblems was rescinded, then restored, then re-rescinded by the BSA because the course was not evaluated as meeting their standards requiring the denigration of persons with a minority sexual orientation, and requiring the Scout to believe in specific teachings about God. "The Boy Scouts of America maintains that no member can grow into the best kind of citizen without recognizing an obligation to God. In the first part of the Scout Oath or Promise the member declares, âOn my honor I will do my best to do my duty to God and my country and to obey the Scout Law.â The recognition of God as the ruling and leading power in the universe and the grateful acknowledgment of His favors and blessings are necessary to the best type of citizenship and are wholesome precepts in the education of the growing members." Members of some religious organizations -- or unaffiliated individuals with personal religious beliefs -- who do not have a belief in a god. This includes Agnostics, Atheists, some Unitarian Universalists, some Buddhists, and others. Youths and adult leaders with minority sexual orientations, including both homosexuals and bisexuals. Indications of actual homosexual behavior are not needed; merely having a homosexual or bisexual orientation was once sufficient grounds to terminate a membership. They are not necessarily expelled because of something that they do; they are expelled because of what they are. The beliefs of the BSA go beyond even those of many conservative and some mainline Christians. The BSA believe that both homosexual orientation and same-gender sexual behavior are grounds for expulsion, even if the individual is sexually inactive. Youths and adult leaders with who are transgender. These are persons whose gender was identified at birth but who now identify as having the opposite gender, no gender, or a combination of male and female genders later in life. The vast majority of individuals -- on the order of 99.4%, are not transgender. They retain their birth-identified gender throughout their life and are referred to as cisgender persons. and to live by the Girl Scout Law." However, since 1999, they allow individual girls to opt out of the use of the word "God." They can substitute Jehovah, the Goddess, the Great Spirit, etc. This allows many girls to join the BAS who are Atheists, Agnostics, Buddhists, Humanists, Unitarian Universalists, and other faith groups. The BSA bylaws state that "activities of the members of the Boy Scouts of America shall be carried on under conditions which show respect to the convictions of others in matters of custom and religion. ..."
"Throughout life, Scouts are associated with people of different faiths. Scouts believe in religious freedom, respecting others whose religion may differ from theirs. Scouting believes in the right of all to worship God in their own way." "Your family and religious leaders teach you to know and love God and the ways in which God can be served. As a Scout, you do your duty to God by following the wisdom of those teaching in your daily life, and by respecting the rights of others to have their own religious beliefs." "...he will stand for the equal opportunity and justice which the Declaration of Independence and the Constitution guarantee." "Respect and defend the rights of all people. Your relationships with others should be honest and open. Be clean in your speech and actions, and faithful in your religious beliefs." "He seeks to understand others. He respects those with ideas and customs that are different from his own...Every person is an individual with his or her own ideas and ways of doing things. To be a real friend you must accept other people as they are, show interest in them, and respect their differences."